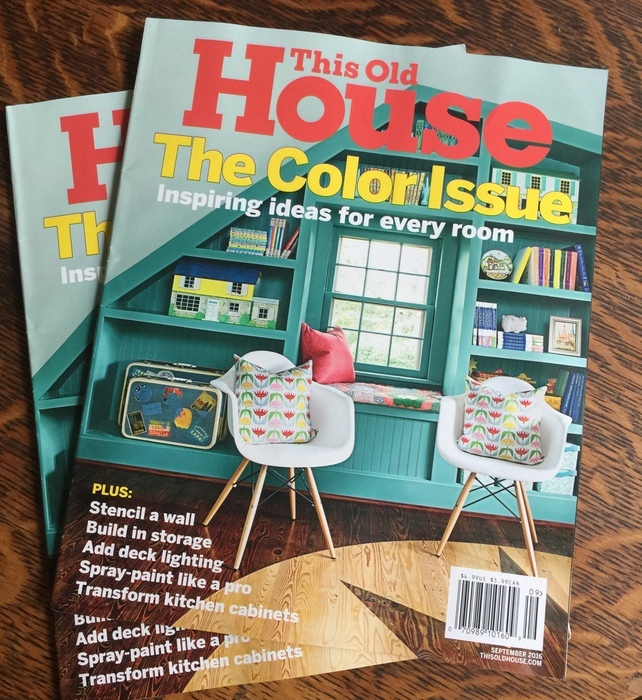 After my article on 2014 Paint Color Trends was published in their spring issue, Everyday Home invited me to be a regular contributing writer to the magazine. My article and “The Decorologist” are on the cover, right next to that cutie-pie Sabrina Soto! I’m so excited to see the new issue. 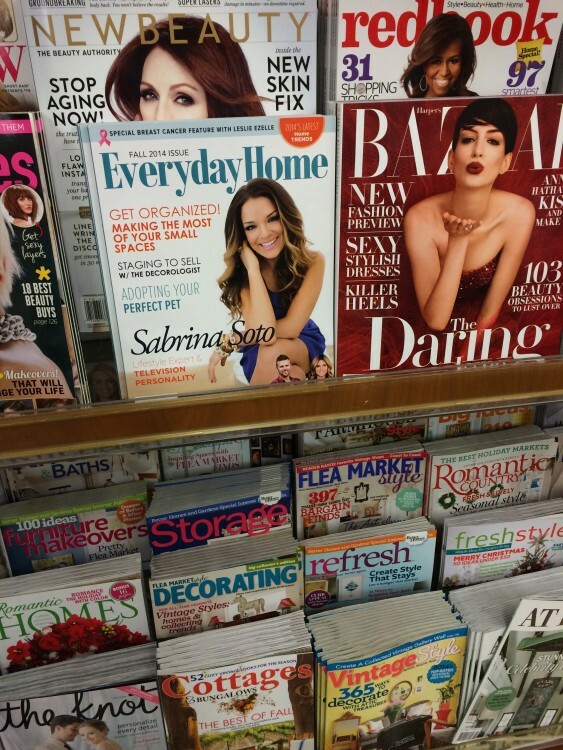 You’ll be able to find it all across the country in Barnes & Noble, WalMart, Kroger, Harris Teeter, Publix, and more. 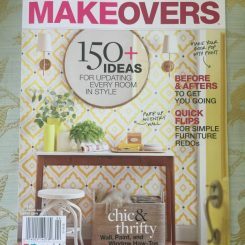 This entry was posted in Design Intervention, My Decorology and tagged everyday home, home staging, magazine, sabrina-soto, the-decorologist-press. Girrrrlllll! This is fabulous! Congatulations! Congratulations ! So excited to read more of your fantastic articles in even more places ! Huge Congrats, Kristie and so well deserved!!! You are a-movin’ and a-shakin’, Kristie!! So happy to be part of your followers, and by the way, I love your new portrait!! Every detail was clearly thought out and executed beautifully. Look at you!!! Go girl! Thats great I can’t wait to read it. Your blogs have taught me so much especially important now that I am about to paint my house after 13 years of builders beige. Looking forward to more of your great advice . And lot of continued success to you. Congrats! 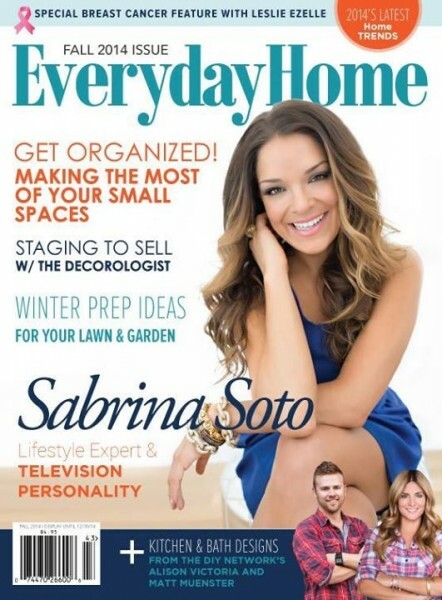 I love Sabrina – she does the most amazing work and I love her High/Low Project on HGTV. I will be looking for this copy. Thanks for sharing. How wonderful! So happy for you. Quite an accomplishment that you certainly deserve. Wow, this is sooo cool. I’ll buy it. …… Congratulations, Kristie !!!! Was so excited. Went to Barnes&Nobles’ today. To early. Post on the blog when it is on the newsstand. I wrote in the post it hits newsstands on Sept 22, Catherine! Sorry you made the trip, but I was also in the previous issue if you saw it when you were there. Candice Olsen was on the cover. Hooray! I told you that you were going to be a superstar! I clicked on “win a subscription” and this is where it took me, so hopefully this is the right place and I’m not too late to enter. And congratulations on being on the cover, if I didn’t already say it!